Officials in the Indian state of Maharashtra suspect that contaminated water from the Panchganga river is responsible for a recent hepatitis E outbreak in Ichalkaranji. 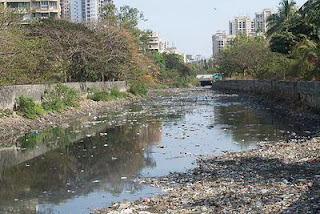 Eighteen people from Ichalkaranji and the city’s surrounding area have died from the infection over the past month, with another 4,000 remaining ill.
Ichalkaranji’s chief health official, Sunil Sangewar, noted that leaks from sewage pipes and industrial effluents have contaminated the Panchganga, and that authorities are addressing the issue. In an effort to curb the spread of the virus, schools and restaurants in Ichalkaranji have closed for eight days. Hepatitis means that the liver is inflamed. Hepatitis E is one of a few different hepatitis viruses (others are hepatitis A, B, C, and D). Different hepatitis viruses cause different types of disease: some chronic, some acute. Hepatitis E is typically an acute viral infection, transmitted through the consumption of fecally-contaminated water or food. Poor sanitation and shedding of the virus in feces contribute to the infection’s spread. Symptoms of hepatitis E include fever, nausea, jaundice, dark urine and joint pain. Hepatitis E is rare in the United States, but epidemics have been reported in Central and Southeast Asia, North and West Africa and Mexico. No vaccine is available for hepatitis E. Preventing infection is possible through good hygiene, high standards for public water supplies and good waste management practices. CDC recommends that travelers visiting areas where hepatitis E is endemic avoid drinking water that has not been boiled or chlorinated and drinks with ice. Additionally, travelers should eat only thoroughly-cooked food. Drinking water it plays the major role in our daily life, clean drinking water is most important to avoid any disease.